If look around the blog you will probably notice that I’m kind of obsessed with repurposing denim into accessories for the home. 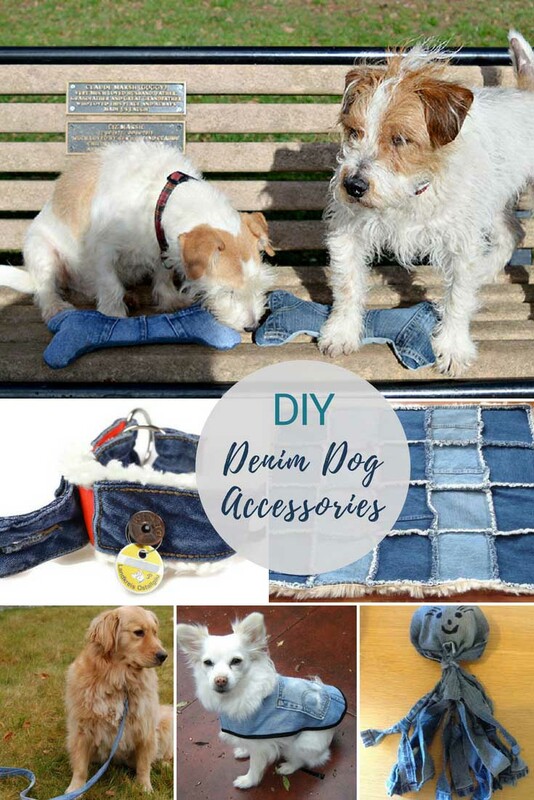 Well, this time I have decided to turn my attention to DIY dog accessories from upcycled jeans. If you are a regular reader of Pillarboxblue, then first thank you! And second, you’ve probably noticed I have a dog. Toby is a beloved but now rather old (15years) rescue Foxy Russell who keeps me company whilst I craft and often manages to sneak into the photos. I come from a family of dog lovers. Both my hubby and I grew up with rescue dogs and I’m sure my kids will have dogs when they are older. Sometimes when we visit them, I think the relatives are happier to see the dog then they are us. 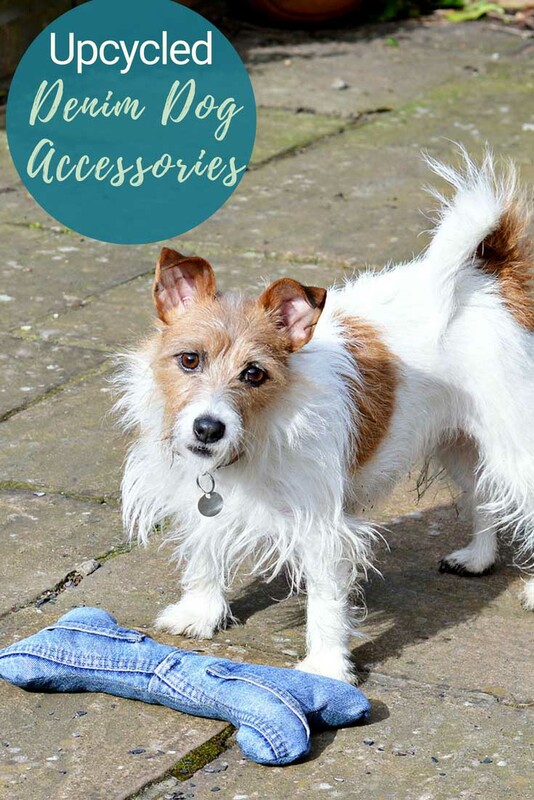 I thought I show my love for dogs by curating a list of DIY dog accessories you can make for them by using my favourite material to upcycle, denim! 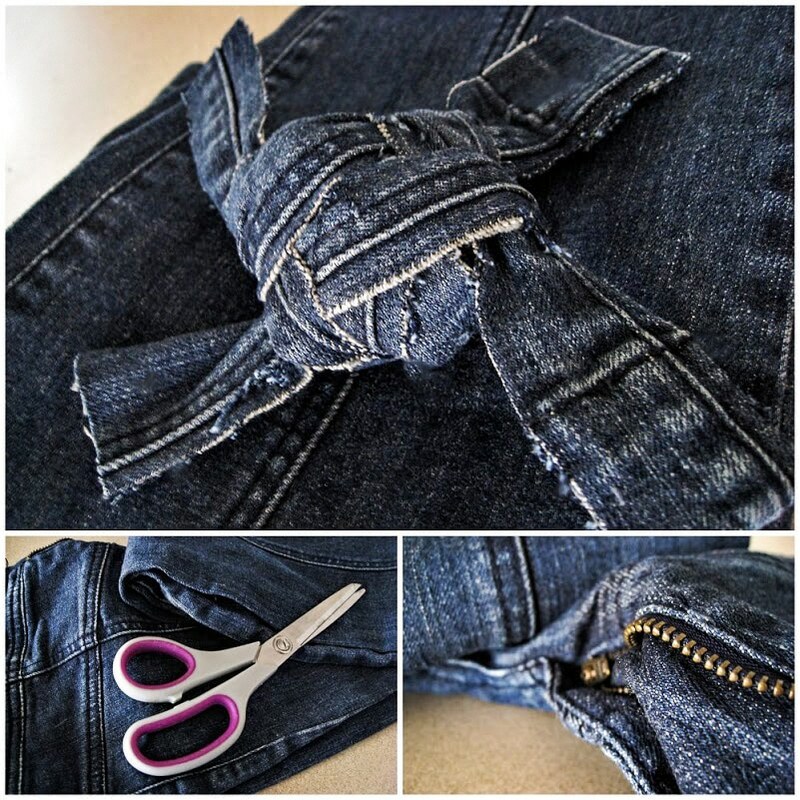 This has to be one of my most popular upcycled denim posts. The toys come complete with the obligatory squeek just to drive you mad when your dog plays with it. 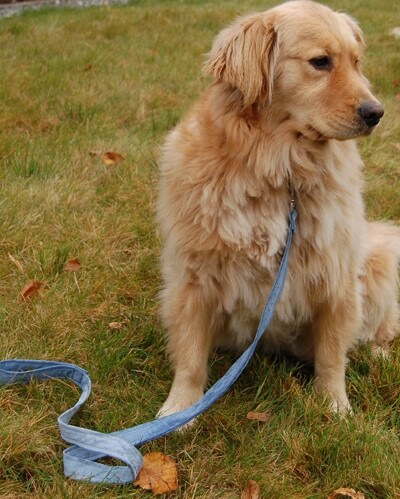 Every dog loves to go for a walk and every dog walker needs a leash. So why not make one out of your old jeans. 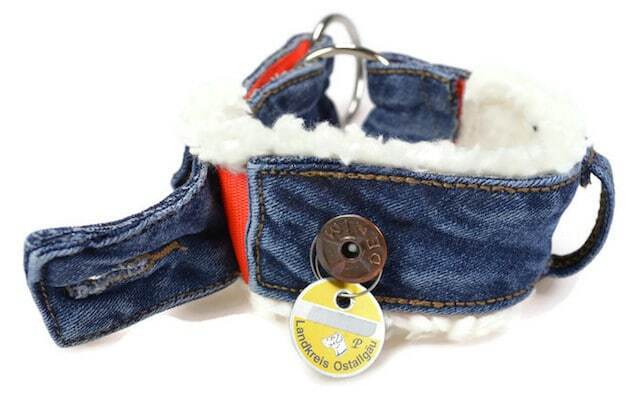 How about a denim dog collar to go with the denim leash. Toby actually has 2 dog beds one in the home office and the one he sleeps in at night. 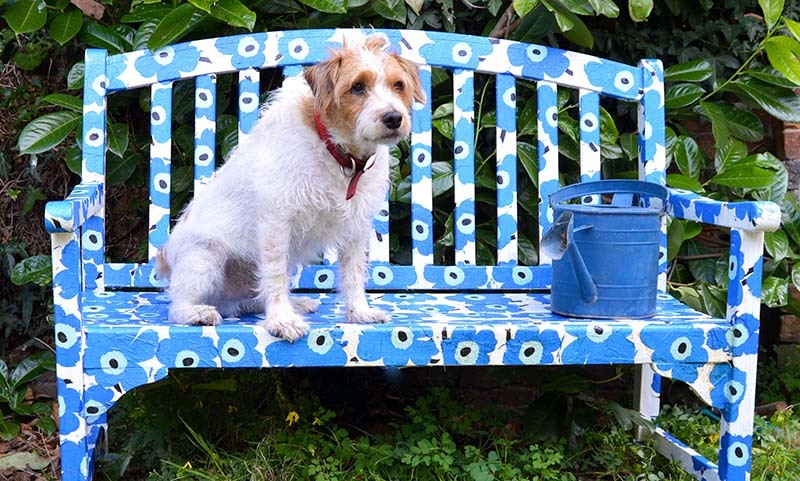 This denim dog bed looks like it would make a great travelling dog bed. It also looks easy to machine wash.
Another dog toy, this one is no sew and pretty robust. 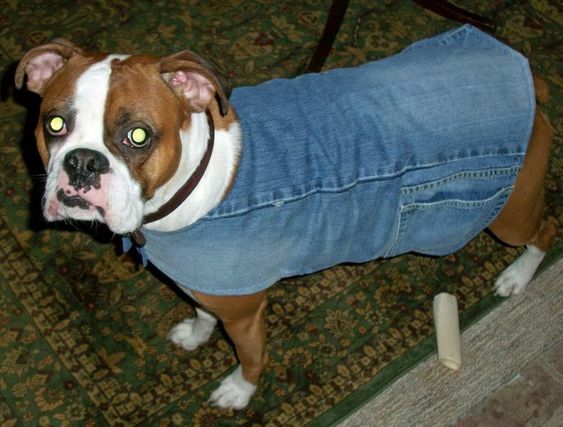 Denim jackets aren’t just for humans you can make one for your dog, complete with handy pocket. 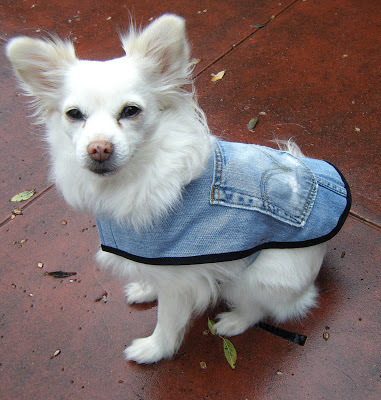 Another doggy denim jacket but this one is lined so should be warmer. 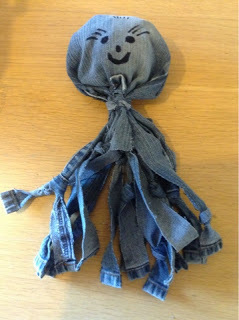 Squidly Denim Dog Toy – Sooz in the Shed. Another dog toy, but this one has a tennis ball in it and crinkly paper. So its fun to throw and chase. 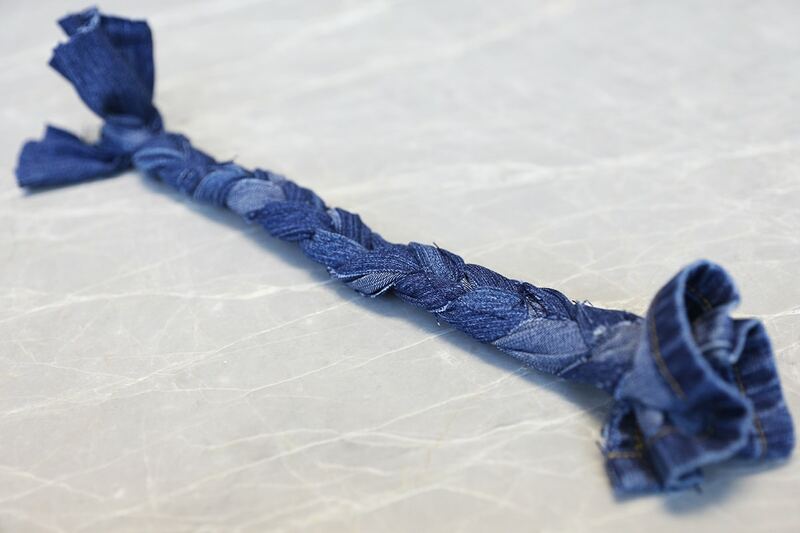 Denim Knot Dog Toy- creativity Unmasked. Another very robust looking dog toy. 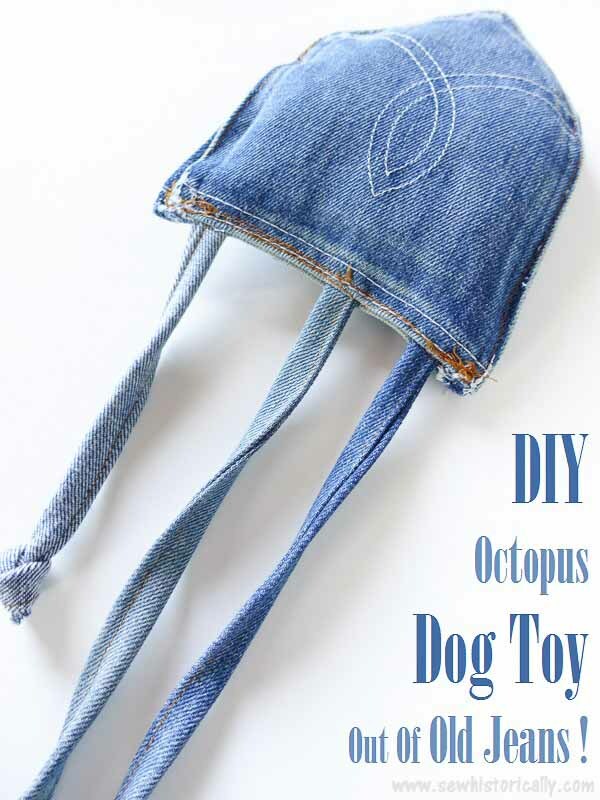 Another denim dog toys, I’m sure a puppy will have hours of fun with this one. 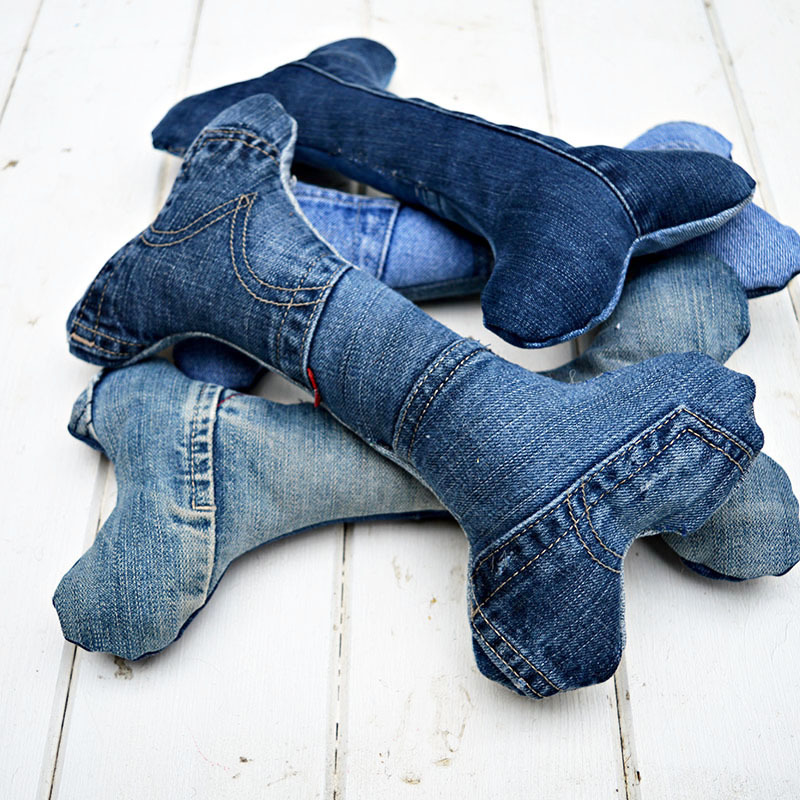 I think my denim dog bone toys are still my favourite. However, Toby has started to loose his hair through old age so it might be time to make him a denim dog coat. I am so happy to have found you. I was looking for dog things to make for our church Christmas bazaar and these are IT! Thank you for sharing. I lost my cocker spaniel (17-years old) just recently. I read not long ago, “A dog gives you some of the best days of your life, and one of the worst.” So true. Thank you. Our TOBY is 15 years old and beginning to show his age we know our time with him won’t be for much longer. It’s so sad! Your saying is so true. what clever creations! I tried to make a toy for my sister’s dog, a Shar Pei, but she break it off after few days .. Ahahaha!! Thank you, Michelle. TOBY is getting a bit old these days we think he’s 15 but not sure as he was a rescue dog. So I think he’s more interested in the bed than toys. I always enjoy seeing your creative uses for denim, Claire. Thanks for sharing at Vintage Charm! Thank you, Cecilia. 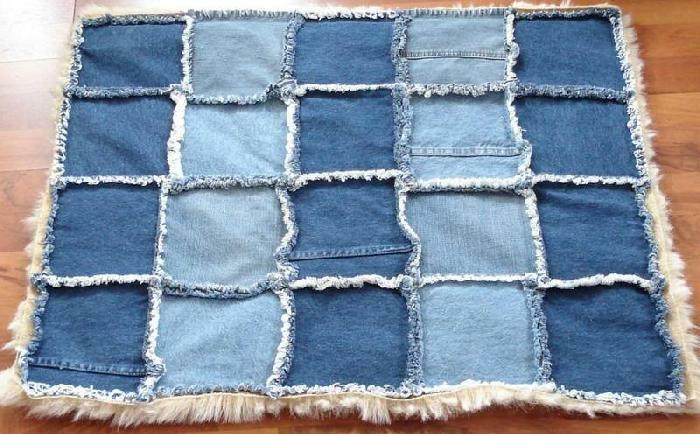 I enjoy thinking of more creative ways to use denim.